Rhythm Nation is the band everyone is talking about and the band leading the way in entertainment for Corporate Events, Weddings, Christmas Parties, Charity Balls, Bar Mitzvahs/ Bat Mitzvahs and Private Parties. Rhythm Nation formed as an excuse to play great music, have a lot of fun and fill dance floors nationwide! No band will work harder to ensure your event is perfect from start to finish. Number of Reviews and Counting... 44! 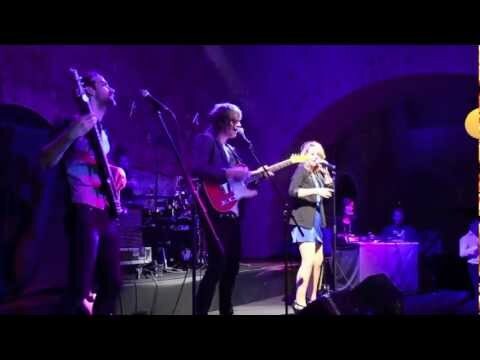 • 5 Piece band with fantastic sound and lighting! Rhythm Nation is the band everyone is talking about and the band leading the way in entertainment for Corporate Events, Weddings, Christmas Parties, Charity Balls, Bar Mitzvahs / Bat Mitzvahs and Private Parties. Rhythm Nation is made by some of the UKs top musicians and singers who formed as an excuse to play great music, have a lot of fun and fill dance floors nationwide! No band will work harder to ensure your event (no matter how small or large) is perfect from start to finish. When you want reliability, professionalism and above all a fantastic night to remember.... Rhythm Nation is the only choice! In addition, Rhythm Nation provide a DJ Option when they are not performing. Excellent! The band made the evening. Perfect! Rhythm Nation were fantastic at our wedding. They sounded amazing, got our guests dancing and had a great set list of new and old. They were really friendly and professional and very easy to liaise with before the day. We would definitely recommend them for any event. The band arrived on time and set up unobtrusively. Guests remarked on how good they were. 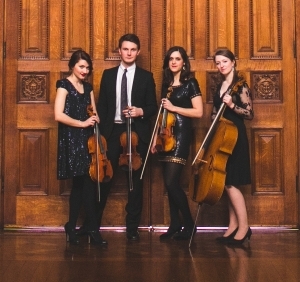 We enjoyed their music very much and wouldn't hesitate to recommend them. Thank you. Thank you so much to Rhythm Nation for performing on our most special day. We were so impressed with the whole service and performance and we have had fantastic feedback from all of our friends and family. The service that we have received from Warble was excellent and would certainly recommend their services to all. 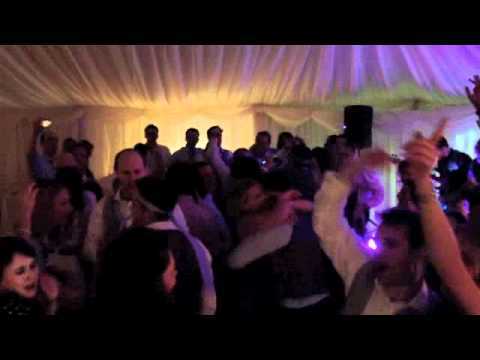 Rhythm Nation recently played at our wedding, and were excellent from start to finish; they introduced a real party spirit to the room and the dancefloor was full until the very end. 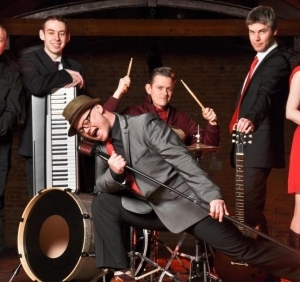 Great band, great attitude and enthusiasm, very talented musicians, and I have already been asked for their details from a guest who wants them at their wedding too! Band were FAB!! Def lived upto expectations. The set through dinner was beautiful and the evening band were great fun. Would definately recommend to anyone! Thanks for a fab night. Had a really good evening and the band topped it off, they were enthusiastic upon arrival and also very professional making sure all the instruments sounded perfect, the singers sounded great and the whole band got involved with the crowd. Everyone said after the party how good Rhythm Nation were and I would definitely recommend them. Great - had everyone up dancing from the moment they started. A big hit with our guests! Would book again. 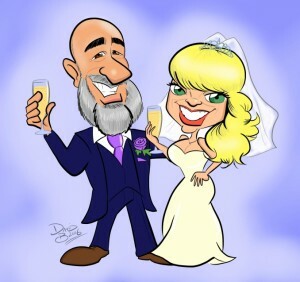 Hi Guys, I was at Rich and Lucy’s wedding on Saturday and just wanted to say thanks for making a great evening. My daughter and her two cousins were the flower girls who stayed up well past their bedtimes to spend the night dancing to the fantastic music. Cheers. Thank you so much for providing the wonderful evening entertainment for our wedding. The quality of the musicians was outstanding and our guests really enjoyed the interaction - the dance floor was never empty! Setting up while we were eating was not a problem and we barely noticed them coming and going. Communication beforehand was good, we were glad of the opportunity to swap things round on the set list a little. Warble were also very helpful and easy to deal with. It's a little bit daunting booking a band without hearing them but the gamble paid off and we were delighted. The band were fantastic, had everyone up on their feet all night. Rhythm Nation were awesome last night at my friends wedding party - next time I arrange a party I'll be transporting them down to Cardiff. We were absolutely thrilled with Rhythm Nation. They were fantastic, everyone asked who they were and how we found them. They totally made the night! 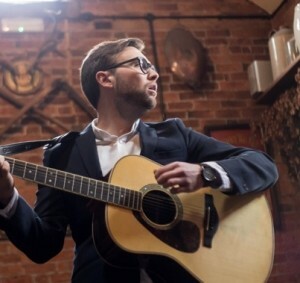 The booking process was simple and the contact from the band was excellent. They did all we requested. 5 stars!! Without doubt Rhythm Nation were A Perfect Choice for APC Overnight's Annual Dinner and Dance. Over 400 hundred guests danced the night away at the Telford International Centre to the terrific sounds of Rhythm Nation. So full of energy, vitality and talent. True professionals and so importantly nice people, would definitely book again. Ivor Skinner, Director, APC Overnight, the largest overnight parcel network in the UK. Warble dealt with questions and issues promptly and effectively and Tracey was very helpful. The booking process was easy. Rhythm Nation were fantastic. The acoustic duo performed beautiful background music during our wedding breakfast and the band really got the party started in the evening. They sounded fantastic and performed a great range of songs. 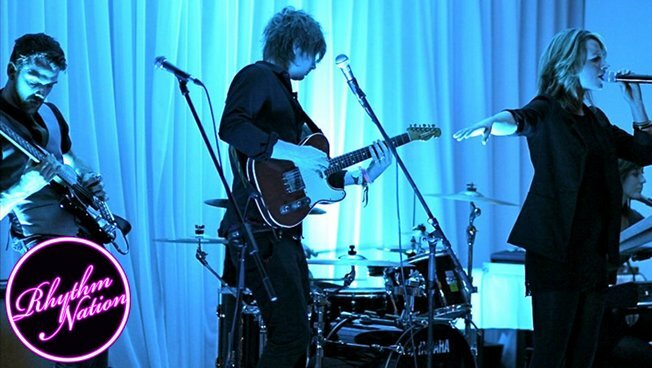 Would definitely recommend to anyone else looking for a band to perform at their wedding! They were absolutely amazing! Would recomend them to anyone, worth every penny! Lovely people with a fantastic talent. Loads of comments from guests saying how fabulous they were. Thank you so much. I would like to thank Rhythm Nation for a fantastic performance and helping to make my Birthday Party a great success, they nailed the mood and gave us what we wanted and needed. A very professional outfit with talented players and singers. Thank you very much, hope to be seeing and hearing you again soon. Brilliant! 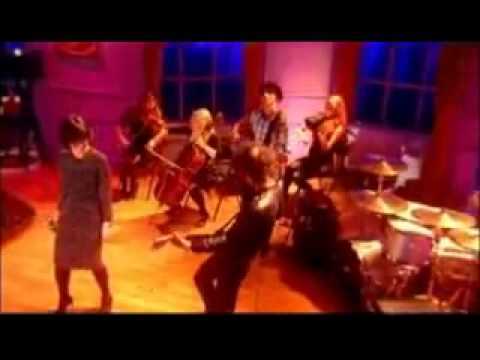 What an amazing band. From the minute they arrived and started to unload all their kit to the last encore of the night and then packing up they were extremely professional, self sufficient, friendly with all our guests and pitched the music to fit the audience just right. The standard of the music amazing and we would be happy to book them again and again for future events. A huge thank you to Sarah and the band in helping make our charity ball a great success. This is the 4th time we have hired the band, as usual they were excellent. Everything from start to finish went as planned. Thanks. The feedback from all those who attended the event was extremely positive and felt the band made the night. I for one can't wait to find an opportunity to invite them back! A fantastic night was had by all. The playlist perfect and the interaction with the crowd great they got the dance floor moving!!!!! Please pass on my thanks on behalf of American Express Technologies. Thanks Tracey – I will most definitely provide feedback, want to get the reaction from people who attended but from observations last night I can’t believe it won’t be good !!!! – I personally feel they made the party truly magnificent and can’t wait for an opportunity to book them again. Hi Tracey, Just wanted to Thank Rhythm Nation for being so Fantastic at our Party on 5th November. When we arrived they started up and were Great the whole evening. All our guests commented on how Brilliant they were! Have already passed your contact details to a friend who is hoping to also book them in the future! Many Thanks to you and Them for a easy booking and great Band... would use them again! Hello Sarah, We just wanted to drop you an email to say you guys rock! What a night and everyone absolutely loved you, professional, interactive without being over the top, fantastic sound and vocals and worth every penny THANK YOU!!!! Friends have already taken your details so you may get future bookings from the night and we hope you do. Thank you again, kindest regards and wishing you and the band all the best for the future. Hi Tracey, Rhythm Nation were brilliant - could not fault them - really professional, good participation with guests - everyone was impressed! They made the evening - dance floor was full, music great and guests were asking where we found them! Excellent service re booking and communication good when confirming details were all OK just before the event. In all everything was problem free which is something you can't often say these days! Many thanks to you all for making and being part of a wonderful wedding party that won't be forgotten! P.S. Will highly recommend you & hope we will have the opportunity to use you again in the future. Rhythm Nation were absolutely superb! 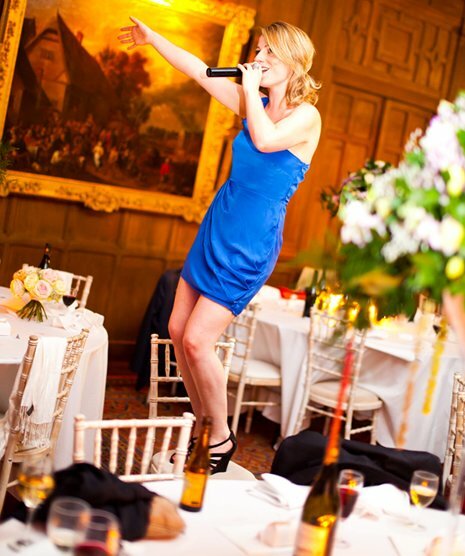 Various comments were made by our wedding guests on how good the band were..... even guests who would not normally go anywhere near the dance floor, were up there dancing and enjoying the performance from beginning to end! A big thank you to Rhythm Nation and to Warble Entertainment for the superb service provided. Would warmly recommend. Steph, If anyone ever asks me for recommendations on evening bands you guys are now top of my list, was impressed by the atmosphere you brought to the night, not seen anything so energetic before/since...! All the best! Thanks so much to Rhythm Nation - they were absolutley fabulous! All correspondance was answered almost immediately. They had a great mix of songs to get everyone on the dance floor and got the perfect mix of interacting with the crowd without being too invasive. Thanks again for helping to make our day so special! Hi Sarah, I hope you are well? Just a quick note to say thank you very much for all your help and your performance at our wedding. The guests all thoroughly enjoyed themselves and had a great time and we're really impressed with the vocals - many commented at how they couldn't tell the difference between the CD and singing! Great party band! Would recommend to make your day go with a bang! Hi Sarah (and Rhythm Nation), Firstly, we'd both like to apologise for the delay in writing this to you. 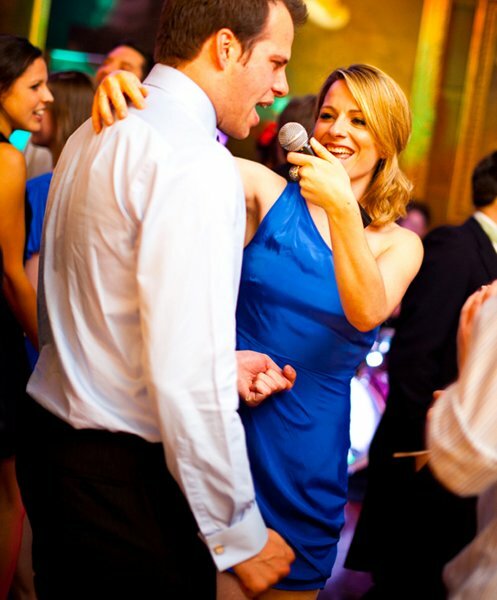 We would both like to say a big thank you to yourselves for playing at our wedding on 11th April 2011. Thank you for your professionalism and enthusiasm before and during the night: you literally rocked our wedding evening and so many guests have praised your band for the setlist and fantastic performance you gave that night. We were a little nervous at who to book, but we defiinitely made the perfect choice and the songs you played got everyone dancing: from 5 years to 86 years old!you gave us a night to remember: we just wish we'd asked our videographer to stay on and film the entire evening! We would definitely book you again, and you have been recommended by many of our guests to their friends and family. Thank you so much for everything: you were brilliant! Finally, and this is a bit cheeky, but if you still have a copy of the setlist for our wedding night, is it possible to have a copy? All the very best. Rhythm Nation were fantastic! Really friendly, easy to work with, very 'customer' focused, fantastic in their show at creating rapport with the guests. ie, going into the 'crowd' to play / sing / encourage participation. Loads of energy in their show. Made the night. Big thank you to them all!! Hi Matt, Thanks for your email. I booked Rhythm Nation based on a recommendation from a friend and having never heard them myself was a little apprehensive as this was also the first Ball I had organised. I needn’t have been as they were fantastic, their song choice was great, they interacted with the guests so well. At previous balls we have struggled to get people up dancing as soon as they band start but not this time everyone was on the dance floor throughout both sets which was great to see. I received so many comments both during the evening and after the event saying how fabulous they were and they hope to see them again at next year’s ball. The whole process from my first enquiry through to the band arriving on Saturday was seamless, all queries were responded to quickly and the booking process was very straight forward and easy so thank you for that. As I mentioned to Sarah on Saturday I will send a wrap up of the evening along to our communications manager to put up on the website telling everyone how well the evening went and how great the band were as well as a small advert for the band if that is ok. Once again please pass on my thanks and the comments above to the band. Hi Tracey, Well feedback concerning the band... They were great at emailing beforehand and arranging timings, songs etc and even learnt a new song for us that we requested. They all arrived in plenty of time, Phil Edwards was fantastic when doing his set during dinner, so much so that my friend got up and introduced him because she was afraid people couldn't tell it was live music because he was so good and he was up on a higher level where not everyone could see him. The band were very flexible and accommodating to any changes due to dinner running over slightly. They sounded great and everyone who's spoken to me about the wedding has said what a great band they were. We really were so happy with them! The lead female singer was amazing and everyone said they loved how she interacted with the crowd and came out onto the dancefloor and danced whilst singing with everyone. She also looked fab!!! Another important thing to mention is the dance floor was never empty and they played an excellent mixture of music to suit all tastes! I loved our note from them in our guest book too :-) I have a couple of photos that guests took of the band. If u would like me to forward these on let me know? Thanks again for everything, I will certainly be recommending Rhythm Nation and Warble Entertainment to anyone needing a band in the future! Hi Tracey, Thank you for your email. We had a fantastic Wedding Party as Rythym Nation did a brilliant job in entertaining all our guest. Even after they had finished they still played music from a CD for another hour so we were still dancing until 1am in the morning.... 90% of our guests were on the dancefloor the whole night and the wonderful lead singer kept walking around and motivating people - brilliant! One of my fondest memories of our Wedding will be seeing my friends jumping up & down on the dance floor:) In regards to the booking process: I got quick reponds back from you and was able to go ahead with the booking straight away. Individually, members of Rhythm Nation have performed at some of the largest events in the UK at Wembley Stadium, Hyde Park, Reading and Glastonbury to name a few! Members of The Rhythm Nation Band have also recorded or are currently performing with successful International artists such as Sharleen Spiteri! 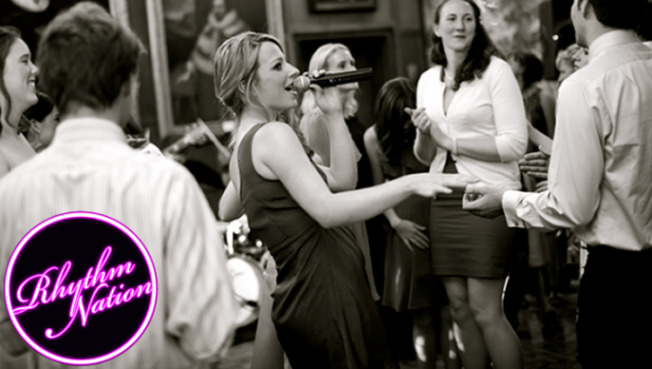 As Rhythm Nation the guys have performed at numerous Weddings, Parties and Corporate Events all over the UK. The Rhythm Nation band provides a PA large enough for most private parties and an outstanding lighting package (suitable for up to 200 guests). The sets comprise 2 x 60 (or 3 x 40) minute sets of dancefloor fillers from rock to funk, pop to soul, jazz to metal and anything in between! 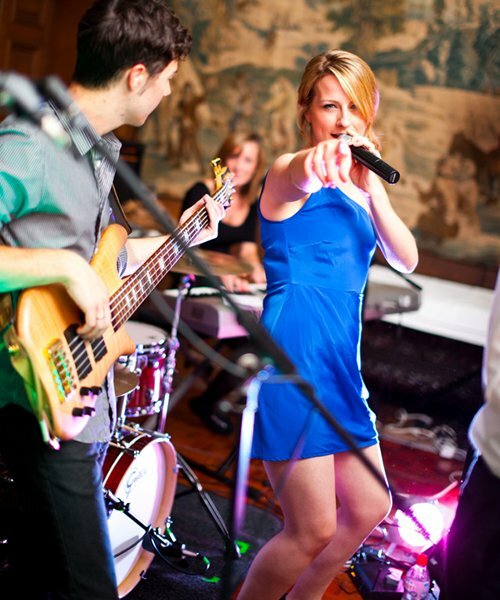 The band also provide a Free DJ Option and can provide tunes for your party or celebration. Alternatively, the band is happy for you to plug your own iPod into the PA System. Rhythm Nation is a 5 piece band, which includes: Drums, Bass / Vocals, Guitar / Vocals, Keyboards and Female Lead Vocals. This hugely popular line-up is able to provide an arena-filling sound due to the bands fantastic talent and equipment. As standard Rhythm Nation perform 2 x 60 or 3 x 40 minute live sets. Because Rhythm Nation want you to have the whole night's entertainment sorted when you hire them, the band offers a FREE DJ option that runs when the band are not performing. The DJ option is performed by a member of the group operating a laptop with the most current DJ mixing software and party classics on hand to keep the party jumping! 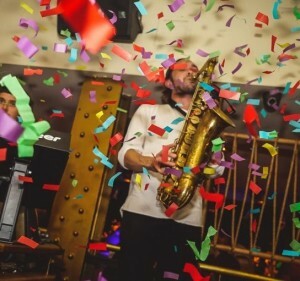 The benefits of this service are that your guests are able to make requests for the DJ to play, and with the DJ being a member of the band and sharing their equipment, the space utilised at the venue is kept to a minimum... and so looks very tidy. 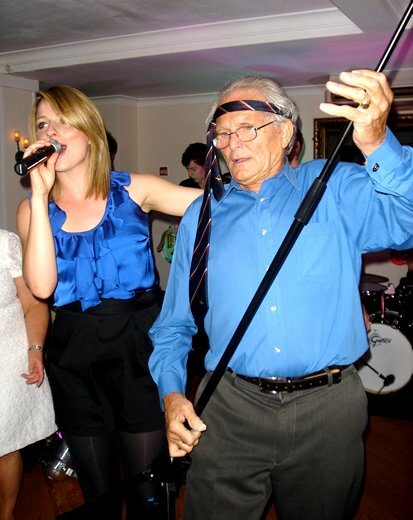 Customers who have enquired for Rhythm Nation have also been interested in the following rock and pop function bands who are also based in East Sussex, London and the South East of England. For more information or further options, please call 0845 643 9384.